Q: Why am I getting loops on the under side of my fabric? A: Most of the time that is caused by not enough top tension. Make sure your presser foot is raised (that opens your tension disks so the thread can get in there) before threading your machine. Also check that your tension dial is not set too low. Q: Why does my thread keep breaking? A: There can be many reasons for this. 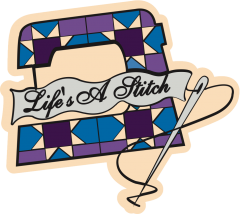 Some possibilities are bad thread, wrong size or type of needle, stitch plate or hook damage. Q. Why do some embroideries turn out better than others? A. There are many factors that contribute to the quality of embroideries. Using good quality designs, threads and stabilizers is very important. Using the right stabilizer and thread for the job is also important. Proper hooping is also a big factor in machine embroidery.